Newly available, Precious Mirror, combines Jikoji founder Kobun Chino Otogawa's brilliant calligraphy with translations into English enface. Kobun was an instrumental figure in the transmission of Zen to America and its evolution within our culture. Although he came to assist Shunryu Suzuki at the San Francisco Zen Center, Kobun was enamored of the way Zen, unfettered, blossomed in new soil, and he followed it wherever it grew. For Kobun, Zen was not an institution, but the elemental nature of every aspect of our lives and existed in myriad forms. Kobun founded four temples, taught Buddhism at Stanford and Naropa University, demonstrated and taught Calligraphy and Archery. When Steve Jobs founded Next Computer, Kobun was listed as it's Spiritual Director. The words of our founding teacher, gathered from the transcribed and edited recordings of Kobun’s sesshin talks between 1974 and 1993. This text is divided into four sections, each representing a sesshin named for an aspect of Buddha’s life and teaching. Rohatsu sesshin is in memory of Buddha’s enlightenment, Denko-e is in honor of the teaching relationship, Tanjo-e celebrates Buddha’s birth, and Nehan-e, the Buddha’s final Nirvana. Subjects were organized within these broad themes, although Kobun, himself, often varied his lectures according to what struck him as appropriate for whatever was happening in his and students’ minds. Here, it made sense to focus on zazen practice more intensely in the text chosen for Ro-hatsu, and Buddha’s teachings in the form of Precepts, for Nehan-e.
Edited by Angie Boissevain and Judy Cosgrove. A collection of Kobun’s teachings on the key points in the Platform Sutra of Hui-neng, the Sixth Patriarch of Zen. According to Kobun, the core of the teaching is expressed in, ”We take refuge in the pure Law-body of the Buddha with our own physical bodies…” With these words, Hui-neng introduces Zen to Chinese Buddhist practice. Click here for a free download of the full book. In his Monday Morning Group, Kobun discussed three Buddhist sutras, the most important of which was the Heart Sutra, which is chanted more frequently than any other sutra. “Form does not differ from emptiness, emptiness does not differ from form,” is the core of our belief, as Buddhists. This book is Kobun’s teisho on form and emptiness. Click here for a free download of the full book. In the forty years since its original publication, Zen Mind, Beginner’s Mind has become one of the great modern spiritual classics, much beloved, much reread, and much recommended as the best first book to read on Zen. Suzuki Roshi presents the basics — from the details of posture and breathing in zazen to the perception of nonduality — in a way that is not only remarkably clear, but that also resonates with the joy of insight from the first to the last page. Shunryu Suzuki is known to countless readers as the author of the modern spiritual classic Zen Mind, Beginner's Mind. This most influential teacher comes vividly to life in Crooked Cucumber, the first full biography of any Zen master to be published in the West. To make up his intimate and engrossing narrative, David Chadwick draws on Suzuki's own words and the memories of his students, friends, and family. Interspersed with previously unpublished passages from Suzuki's talks, Crooked Cucumberevokes a down-to-earth life of the spirit. Along with Suzuki we can find a way to "practice with mountains, trees, and stones and to find ourselves in this big world." Dainin Katagiri (1928-1990) was a central figure in the transmission of Zen in America. His first book, Returning to Silence, emphasized the need to return to our original, enlightened state of being, and became one of the classics of Zen in America. In You Have to Say Something, selections from his talks have been collected to address another key theme of Katagiri's teaching: that of bringing Zen insight to bear on our everyday experience. "To live life fully" Katagiri says, "means to take care of your life day by day, moment to moment, right here, right now" To do this, he teaches, we must plunge into our life completely, bringing to it the same wholeheartedness that is required in Zen meditation. When we approach life in this way, every activity-everything we do, everything we say-becomes an opportunity for manifesting our own innate wisdom. With extraordinary freshness and immediacy, Katagiri shows the reader how this wisdom not only enlivens our spiritual practice but can help make our life a rich, seamless whole. In Taking the Path of Zen, Robert Aitken provided a concise guide to zazen (Zen meditation) and other aspects of the practice of Zen. In The Mind of Clover he addresses the world beyond the zazen cushions, illuminating issues of appropriate personal and social action through an exploration of the philosophical complexities of Zen ethics. Aitken's approach is clear and sure as he shows how our minds can be as nurturing as clover, which enriches the soil and benefits the environment as it grows. The opening chapters discuss the Ten Grave Precepts of Zen, which, Aitken points out, are "not commandments etched in stone but expressions of inspiration written in something more fluid than water." Life is rising up to meet us at every moment. The question is: Are we there to meet it or not? Diane Rizzetto presents a simple but supremely effective practice for meeting every moment of our lives with mindfulness, using the Zen precepts as tools to develop a keen awareness of the motivations behind every aspect of our behavior—to "wake up to what we do"—from moment to moment. As we train in mindfulness of our actions, every situation of our lives becomes our teacher, offering priceless insight into what it really means to be happy. It's a simple practice with transformative potential, enabling us to break through our habitual reactions and to see clearly how our own happiness and well-being are intimately, inevitably connected to the happiness and well-being of everyone around us. Carolyn Atkinson looks directly at the startling and inspiring practice of living our lives right now--just as they are. What does it mean to actually inhabit our lives? When we choose to be present in these very lives that we have, we truly are acting courageously. Developing an ongoing willingness to embrace self-acceptance is a profound place of practice. When we cultivate both mindfulness and stillness in our lives, we can discover a place of peace--a light in the mind. In this intimate and funny collection of essays on the sometimes confusing, sometimes poignant, sometimes hilarious condition of being a woman over sixty, Susan Moon keeps her sense of humor and she keeps her reader fully engaged. Among the pieces she has included here are an essay on the gratitude she feels for her weakening bones; observations on finding herself both an orphan and a matriarch following the death of her mother; musings on her tendency to regret the past; thoughts on how not to be afraid of loneliness; appreciation for the inner tomboy; and celebratory advice on how to regard "senior moments" as opportunities to be in the here and now. Each story is accompanied by a reflection by a contemporary woman teacher--personal responses that help bring the old stories alive for readers today--and concluded by a final meditation for the reader, a question from the editors meant to spark further rumination and inquiry. These are the voices of the women ancestors of every contemporary Buddhist. First Buddhist Women is a readable, contemporary translation of and commentary on the enlightenment verses of the first female disciples of the Buddha. Through the study of the Therigatha, the earliest-known collection of women’s religious poetry, the book explores Buddhism's 2,600-year-long liberal attitude toward women. 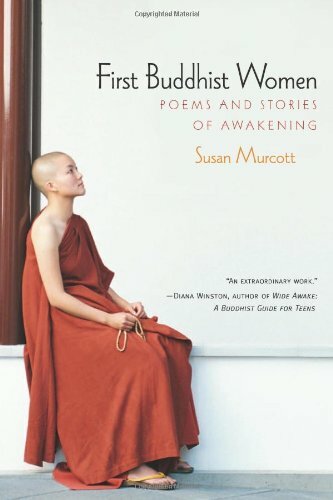 Utilizing commentary and storytelling, author Susan Murcott traces the journey of wives, mothers, teachers, courtesans, prostitutes, and wanderers who became leaders in the Buddhist community, acquiring roles that even today are rarely filled by women in other, patriarchal religions. Because women have been conditioned to live according to traditional feminine values—conformity, passivity, and surrender of the self, they often feel powerless to transform their lives and lose their sense of worth. In Woman Awake, Christina Feldman suggests that it is possible for women to break out of their negative patterns and accept themselves as they really are. With a growing awarenss of the dignity of all life and its connection with them, women can overcome the social conditioning and myth-making that overwhelm and oppress them. For those women new to Buddhist meditation, Christina Feldman offers sensitive and valuable guidelines on breathing and relaxation, stressing, above all, that learning to understand, appreciate, and value themselves is the first step towards women's creative and joyful integration with the world. 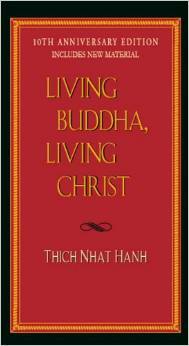 This book celebrates the flowering of women in American Buddhism. Lenore Friedman set out to explore this phenomenon by interviewing some of the remarkable women who were teaching Buddhism in the United States. The seventeen women she writes about vary in background, personality, and form of teaching. Together the represent the growing presence and influence of women teachers in America--a development that will surely affect Buddhism in the West for years to come. This revised edition includes a new section describing developments in these women's lives and work since the book's first publication in 1987. Teachers include: Toni Packer, Maurine Stuart, Pema Chödrön, Joko Beck, Ruth Denison, Bobby Rhodes, Jiyu Kennett, Sharon Salzberg, Karuna Dharma, Joanna Macy, Gesshin Prabhasa Dharma, Sonja Margulies, Yvonne Rand, Jacqueline Mandell, Colleen Schmitz, Ayya Khema, and Tsering Everest. Zen's Chinese Heritage traces twenty-five generations of inlightened Buddhist teachers, supplementing their core teachings with history, biography, and poetry. The result is an intimate and profound human portrait of the enlightened Zen ancients, and an unprecedented look into the depths of the rich cultural heritage.In this new edition with even more valuable material, Ferguson surveys generations of Zen masters, moving chronologically through successive generations of ancestral teachers, supplementing their core teachings with history, biography, and starkly beautiful poetry. 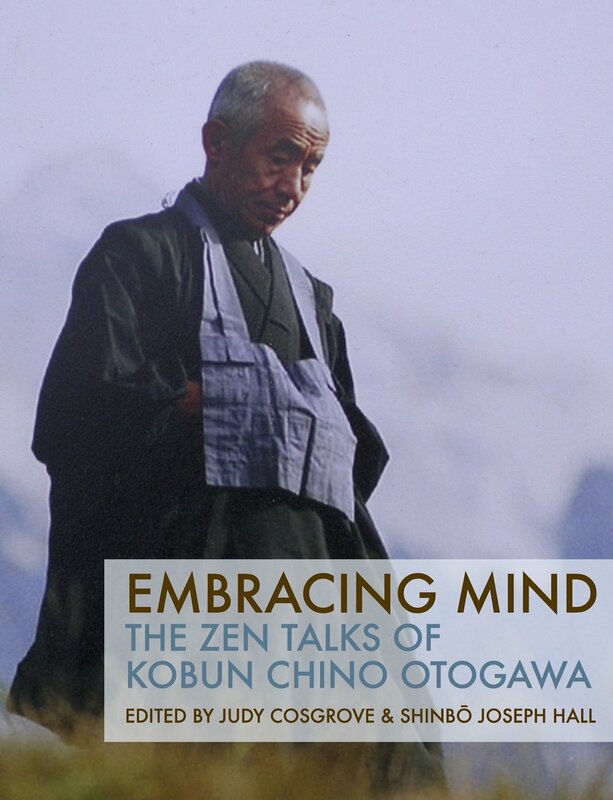 In addition to giving the reader the engaging sense of the "family history" of Zen, this uniquely valuable book paints a clear picture of the tradition's evolution as a religious, literary, and historical force.hinese Htraces twenty-five generations of inlightened Buddhist teachers, supplementing their core teachings with history, biography, and poetry. The result is an intimate and profound human portrait of the enlightened Zen ancients, and an unprecedented look into the depths of the rich cultural heritage. This is a complete translation of Eihei Shingi, the major writing by the Japanese Zen master Eihei Dogen (1200-1253) on monastic practice and the role of community life in Buddhism. Dogen was the founder of the Soto branch of Japanese Zen, but his teaching was not limited by any particular school of Buddhism. His writings are generally regarded today as a great summit of Japanese Buddhist philosophy, meditation practice, psychology, and poetic insight into the nature of reality. 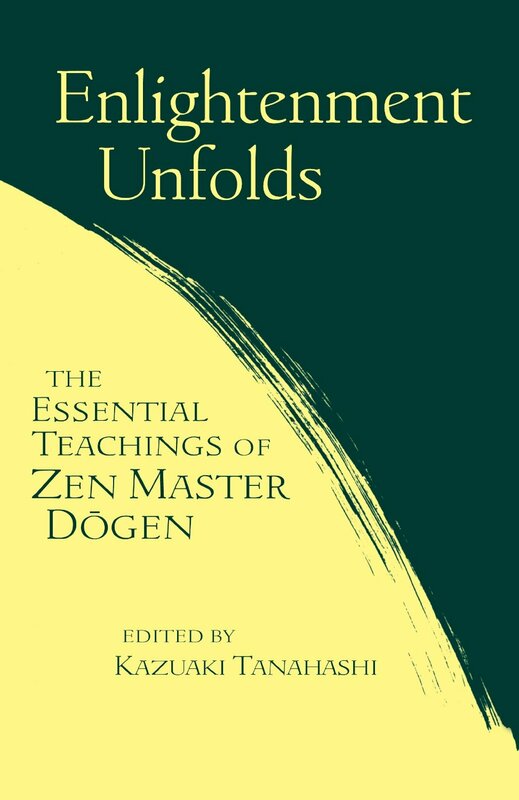 Enlightenment Unfolds is a sequel to Kaz Tanahashi's previous collection, Moon in a Dewdrop, which has become a primary source on Dogen for Western Zen students. Dogen Zenji (1200-1253) is unquestionably the most significant religious figure in Japanese history. Founder of the Soto school of Zen (which emphasizes the practice of zazen or sitting meditation), he was a prolific writer whose works have remained popular for six hundred years. Enlightenment Unfolds presents even more of the incisive and inspiring writings of this seminal figure, focusing on essays from his great life work, Treasury of the True Dharma Eye as well as poems, talks, and correspondence, much of which appears here in English for the first time. The Wholehearted Way is a translation of Eihei Dogen's Bendowa, one of the primary texts on Zen practice. Transcending any particular school of Buddhism or religious belief, Dogen's profound and poetic writings are respected as a pinnacle of world spiritual literature. Bendowa, or A Talk on the Wholehearted Practice of the Way, was written in 1231 A.D. and expresses Dogen's teaching of the essential meaning of zazen (seated meditation) and its practice. This edition also contains commentary on Bendowa by Kosho Uchiyama Roshi, a foreword by Taigen Daniel Leighton, and an Introduction by Shohaku Okumura, both of whom prepared this English translation. The Roaring, Stream: A New Zen Reader is a groundbreaking, immensely readable anthology drawn From the vast corpus of Ch'an and Zen Buddhist literature. It offers readers a tour through more than a millennium of writing, presenting one masterpiece after another in chronological progression. "You can dip into the waters of this stream, again and again, at any point Finding refreshment and perspective, " notes Robert Aitken in his introduction. "A year From now you can dip in again and find treasures that were not at all evident the First time." From lectures to letters, brief poems to extended disquisitions, this collection is an ideal point of entry For newcomers to the Zen tradition, and an essential sourcebook For those who are already " on the way." An important collection of 100 classic Zen Buddhist koans with commentaries. A classic collection of koans--the paradoxical teaching devices that have been closely associated with Zen study and practice since the tenth century. Buddha and Christ, perhaps the two most pivotal figures in the history of humankind, each left behind a legacy of teachings and practices that have shaped the lives of billions of people over two millennia. If they were to meet on the road today, what would each think of the other's spiritual views and practices? In this classic text for spiritual seekers, Thich Nhat Hanh explores the crossroads of compassion and holiness at which the two traditions meet, and he reawakens our understanding of both. Explains the origins, development and basic principles of the religion followed by nearly one-quarter of the people on earth.